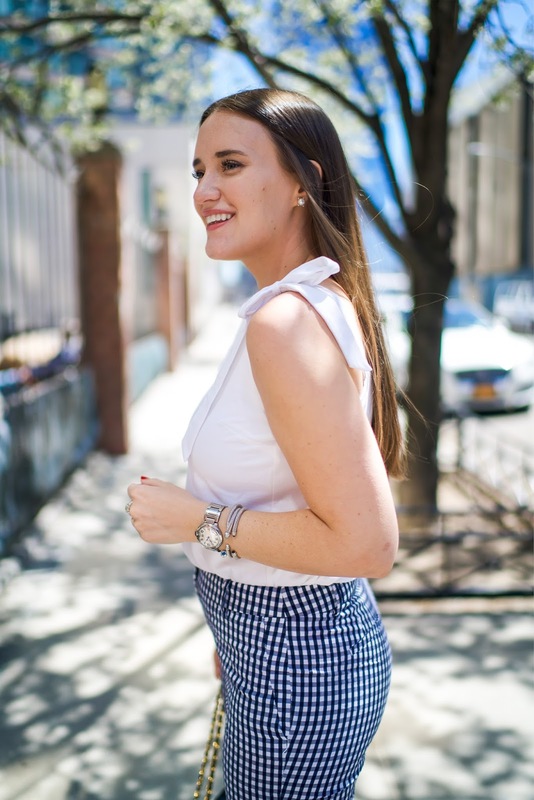 I was about to ask if this was my first real gingham outfit of the year but then I realized I've published THIS and THIS sooooo ... no lol. But man does it feel like it! 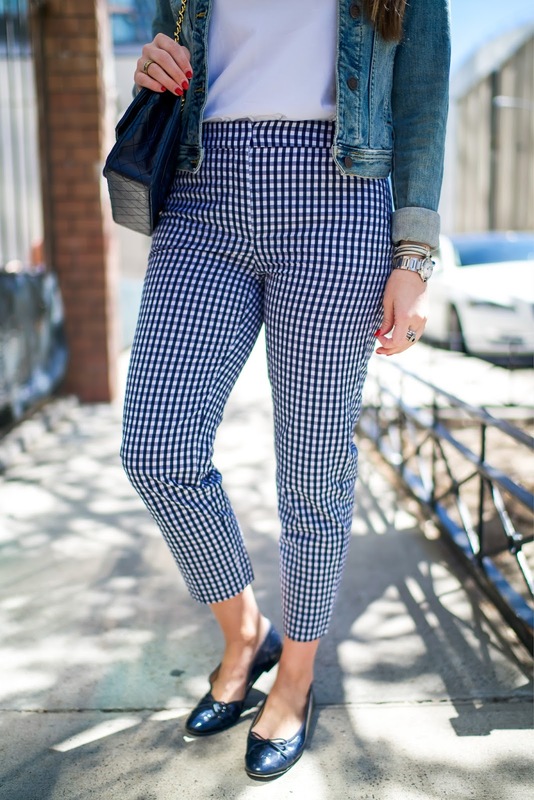 Who knew I needed gingham work pants in my life? 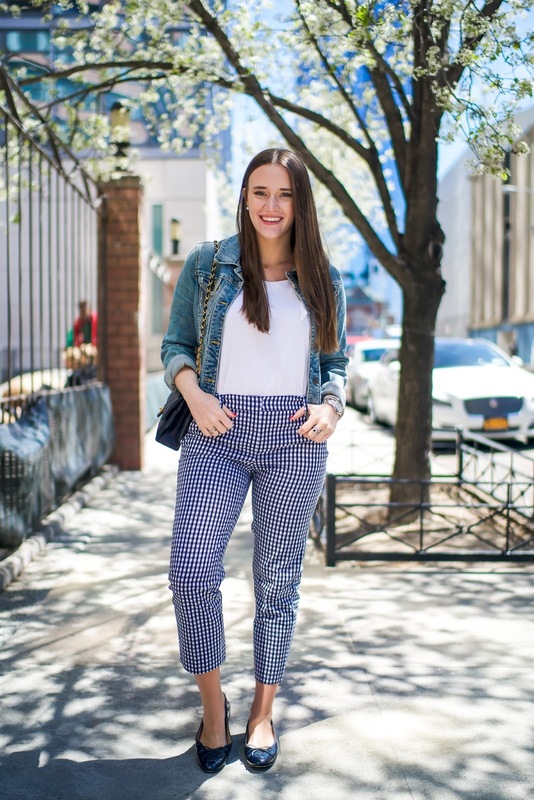 These gingham pants are very lightweight and easy to wear. I bought my normal size 8 and they fit great! The material does stretch a little over time but only around the legs. TBH when wearing these I felt like a blast from the past with cropped high-waisted gingham pants but I really dig the look. 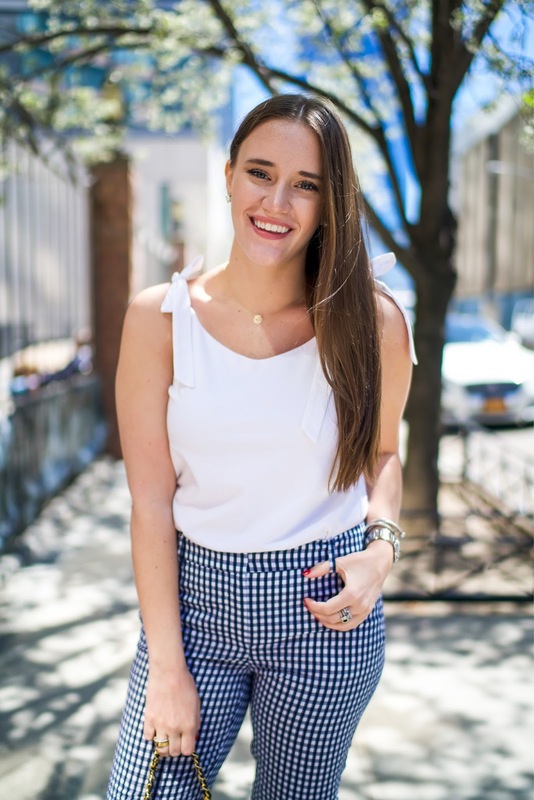 For work, you can pair these gingham pants with just about anything, but I of course stuck with a crisp white top. I don't know about your office, but jean jackets are ok in mine. But it's just as easy to throw on a navy blazer with this look and be every bit as cute! My jean jacket might possibly be the oldest item of clothing I have in my closet. It dates all the way back to middle school. How it still fits is beyond me but I would officially like to call this a vintage jacket. Is that possible? The top, pants and (a similar) jacket are part of a really great sale you should check out right now! Most everything is 50% off with another 20% with code: SPRINGTIME on top of that! You can recreate this look for less than $85!